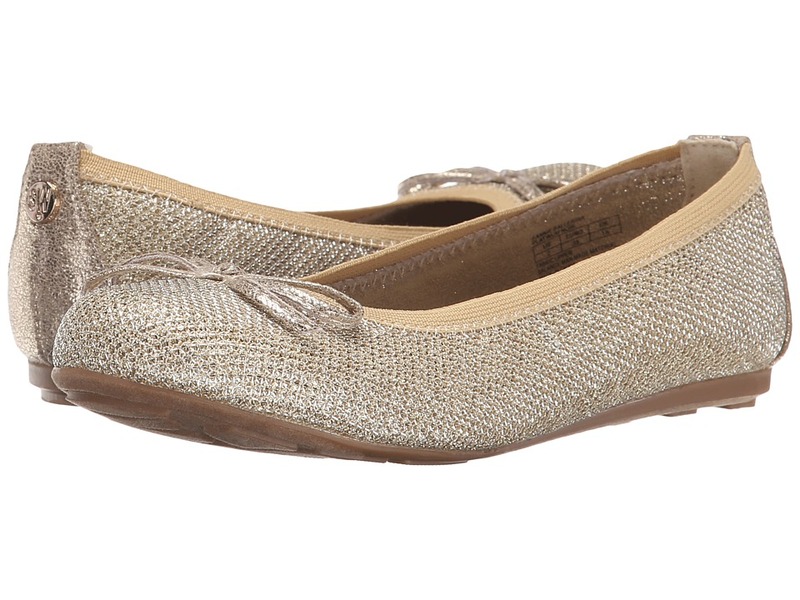 Showcase your little one~s style with these gorgeous flats from Sperry Top-Sider Kids. Smooth synthetic upper. Classic ballet style. Decorative bow detail. Gore around top of shoe for added comfort. Textile lining with print. Padded insole. Flexible synthetic outsole. Imported. Measurements: Heel Height: 1 4 in Weight: 4 oz Product measurements were taken using size 2 Little Kid, width M. Please note that measurements may vary by size. Weight of footwear is based on a single item, not a pair. She~ll blossom in the lovely style of the Flower flats. 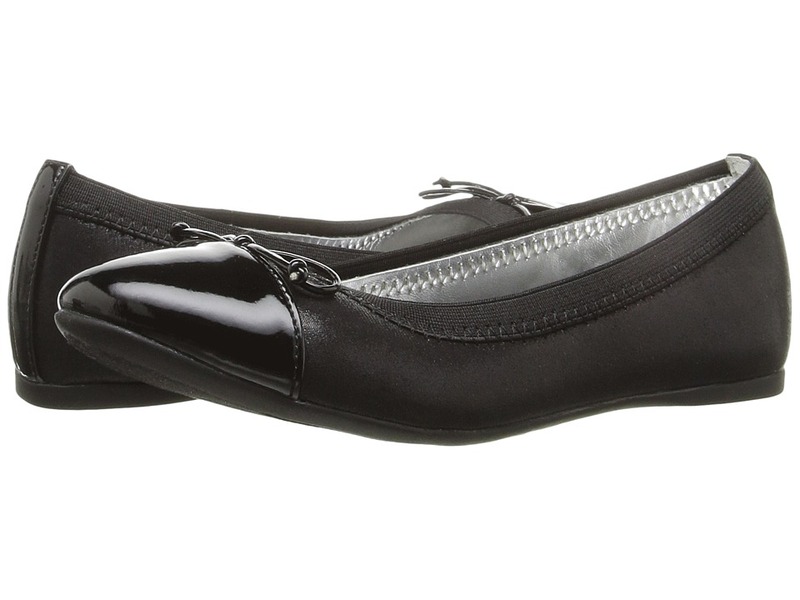 Textile upper features featuring a synthetic leather patent toe cap and a light bow at vamp. Slip-on design with elastic collar for an easy, comfortable fit. Textile lining. Lightly cushioned footbed. Durable rubber outsole. Imported. Measurements: Weight: 5 oz Product measurements were taken using size 2 Little Kid, width M. Please note that measurements may vary by size. Weight of footwear is based on a single item, not a pair. The Elephantito Ballerina flats are perfect for the little ballerina! Leather upper. Hook-and-loop closure with metal loop. Decorative broguing along the visible edges. Single stitching. Leather lining and insole. Synthetic midsole and outsole. Imported. Measurements: Weight: 3 oz Product measurements were taken using size 4 Toddler, width M. Please note that measurements may vary by size. Weight of footwear is based on a single item, not a pair. Transition from day to evening flawlessly, in the chic, feminine silhouette of the VANELi Inex sandal wedge. Supple leather upper boasts beautiful laser-cut details throughout. 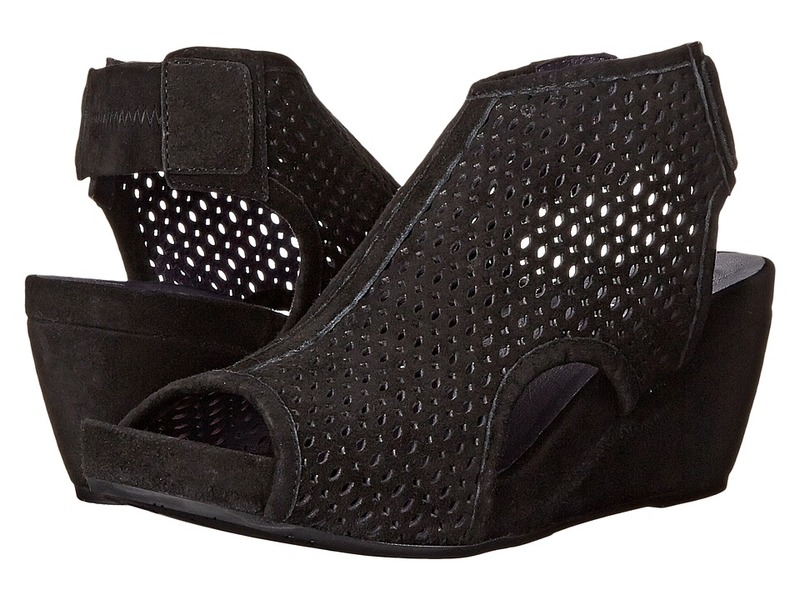 Open toe sandal wedge offers a snap closure at slingback strap. Comfortable synthetic lining. Lightly-cushioned leather and synthetic footbed. Leather-wrapped wedge. Man-made outsole. Imported. Measurements: Heel Height: 2 3 4 in Weight: 9 oz Platform Height: 3 4 in Product measurements were taken using size 8, width M (B). Please note that measurements may vary by size. Weight of footwear is based on a single item, not a pair. 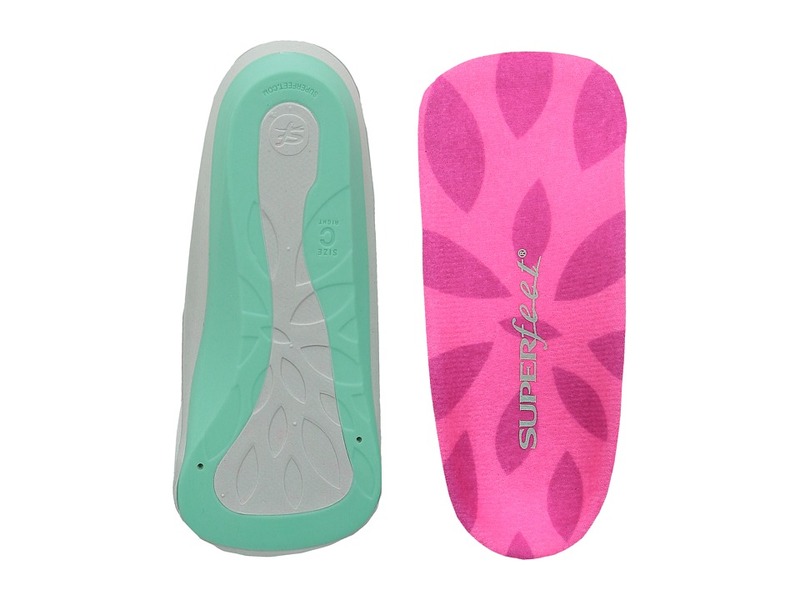 Show off your chic new flats in the daylong comfort of the Superfeet me Comfort Fashion Insoles. Made to fit tight-fitting flats. Heel cup positions the foot~s soft tissue to help absorb impacting shock. Biomechanical shape can help reduce stress on the feet, ankles, and knees. Long-lasting odor-controlling technology promotes a fresher in-shoe feel. Imported. 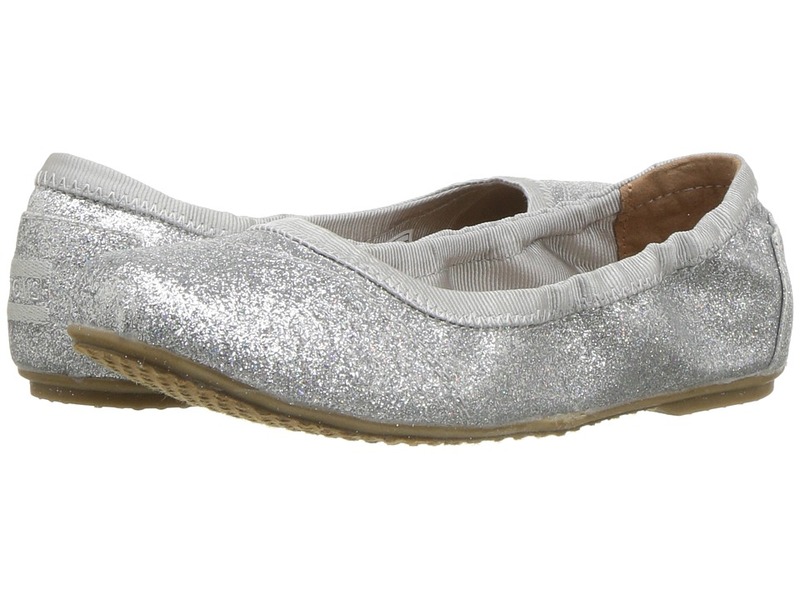 Ballet flats they can dress up or dress down from Jessica Simpson Kids! Smooth manmade upper. Crisscross elastic straps at ankle for easy fit. Slip-on style. Manmade lining and footbed for added comfort. Logo hardware at lateral heel. Durable manmade outsole. Imported. Weight of footwear is based on a single item, not a pair. Our signature Lot 700 fits are the ultimate look- designed to flatter, hold and lift &amp#8212 all day, every day. 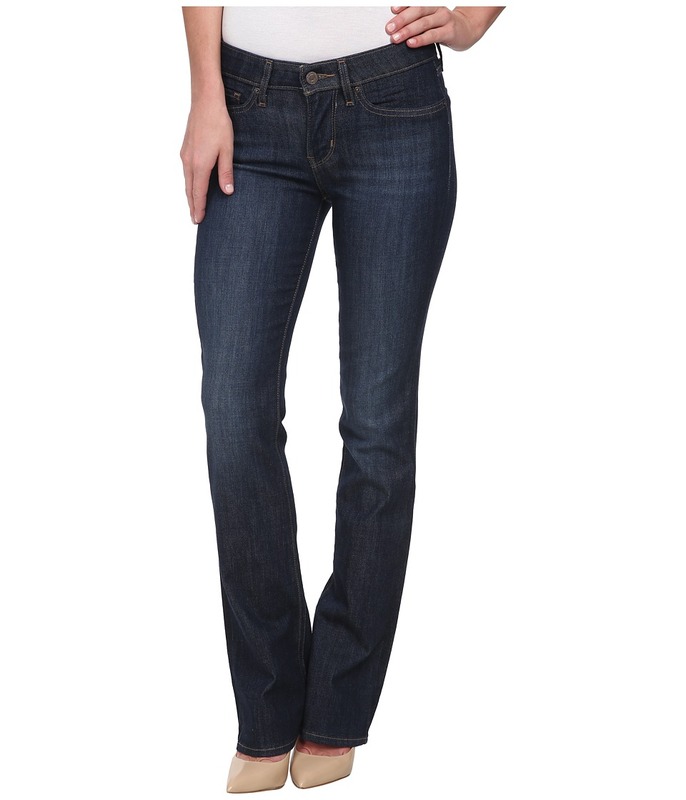 The 715 Bootcut Jeans feature subtle throwback style and a leg-lengthening fit you~ll love. This unique jean pairs well with flats, boots and heels alike. The 715 features a mid rise and a skinny fit through the thigh that breaks below the knee to a silhouette-lengthening bootcut leg. Super soft fabric with stretch and recovery to ensure the jeans keep their shape all day. Leather brand patch at the back waist. Woven flag patch set at the back right pocket. Five-pocket design with signature arcuate stitch. Belt-loop waistband. Zip fly and button closure. Translates to Curve ID: Slight or Demi. Saving Grace: 99 percent cotton, 1 percent elastane Pooled Blues: 89 percent cotton, 9 percent polyester, 2 percent elastane Cast Shadows: 73 percent cotton, 19 percent polyester, 7 percent modal, 1 percent elastane Land And Sea: 70 percent cotton, 29 percent polyester, 1 percent elastane Soft Black: 69 percent cotton, 23 percent polyester, 7 percent viscose, 1 percent elastane. Machine wash and tumble dry. Imported. Measurements: Outseam: 41 in Inseam: 32 in Front Rise: 8 in Back Rise: 13 in Leg Opening: 17 in Product measurements were taken using size 27, inseam 32. Please note that measurements may vary by size. With every pair of shoes you purchase, TOMS will give a new pair of shoes to a child in need. One for One. These pointed flats feature a beautiful asymmetrical design and offer printed, perforated, striped, or embossed panels for a style boost. Supple suede leather upper. Easy slip-on design. Breathable textile lining. Suede leather footbed provides light cushioning. Flexible, one-piece, mixed-rubber outsole. Imported. Measurements: Weight: 7 oz Product measurements were taken using size 8.5, width B - Medium. Please note that measurements may vary by size. Weight of footwear is based on a single item, not a pair. Yosi Samra advises that their shoes typically run true to size. If you are a half size, they suggest going up to the next full size. For example, if you are a true size 6.5, they suggest ordering a size 7. 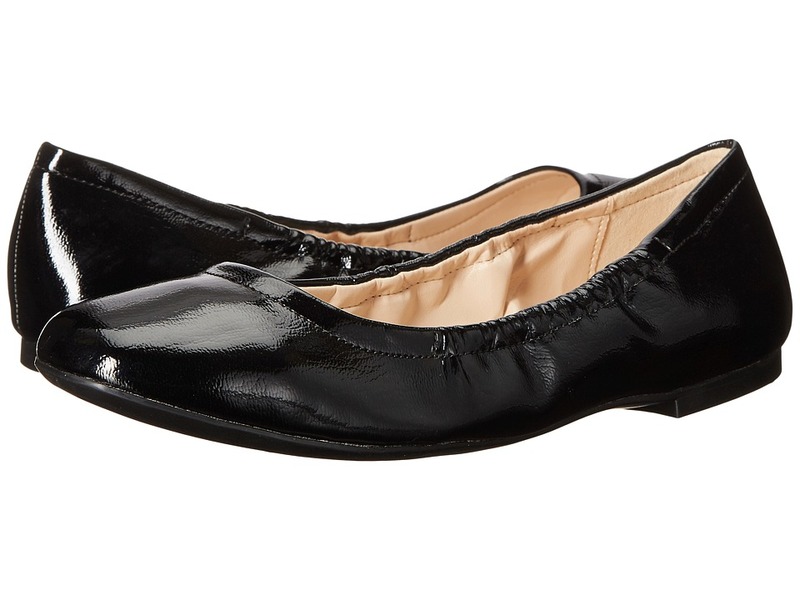 Shine brighter in the amazing Yosi Samra Samara fold-up ballet flats. Available in a variety of premium uppers. 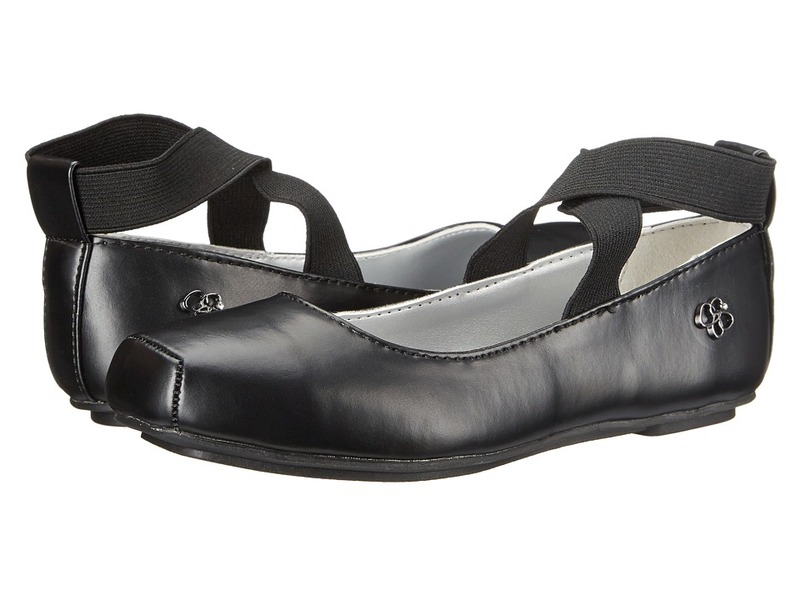 Slip-on construction with elasticized comfort collar and rear-pull tab. Round-toe silhouette. Leather lining and insole. Lightly padded leather footbed. Partitioned leather and rubber outsole folds for easy tuck-away storage. Imported. Measurements: Weight: 4 oz Product measurements were taken using size 8, width M. Please note that measurements may vary by size. Weight of footwear is based on a single item, not a pair. Yosi Samra advises that their shoes typically run true to size. If you are a half size, they suggest going up to the next full size. For example, if you are a true size 6.5, they suggest ordering a size 7. 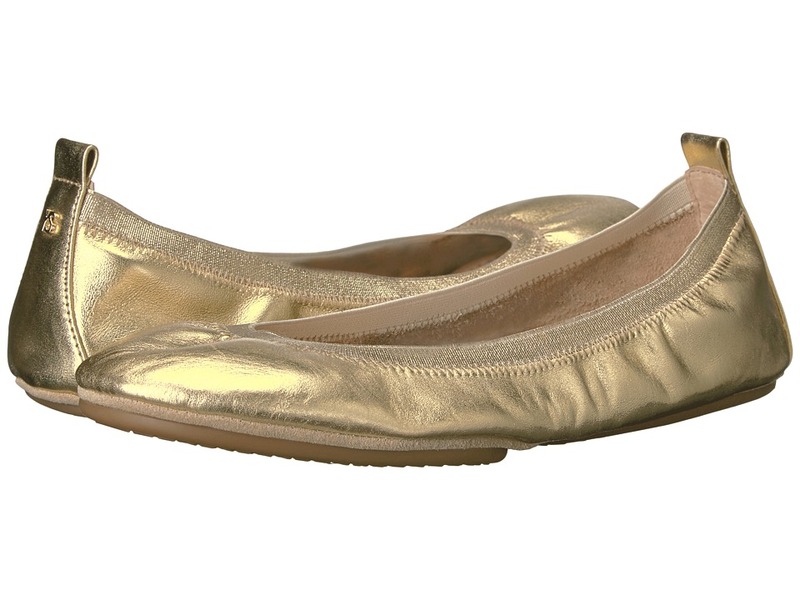 Shine brighter with confidence wearing with these amazing fold up flats from Yosi Samra. Woven textile upper. Ballet construction. Elastic collar offers a precise fit. Bow embellishment at toe. Leather lining. Lightly padded leather insole. Flexible leather and rubber outsole. Imported. Measurements: Weight: 5 oz Product measurements were taken using size 9, width M. Please note that measurements may vary by size. Weight of footwear is based on a single item, not a pair. 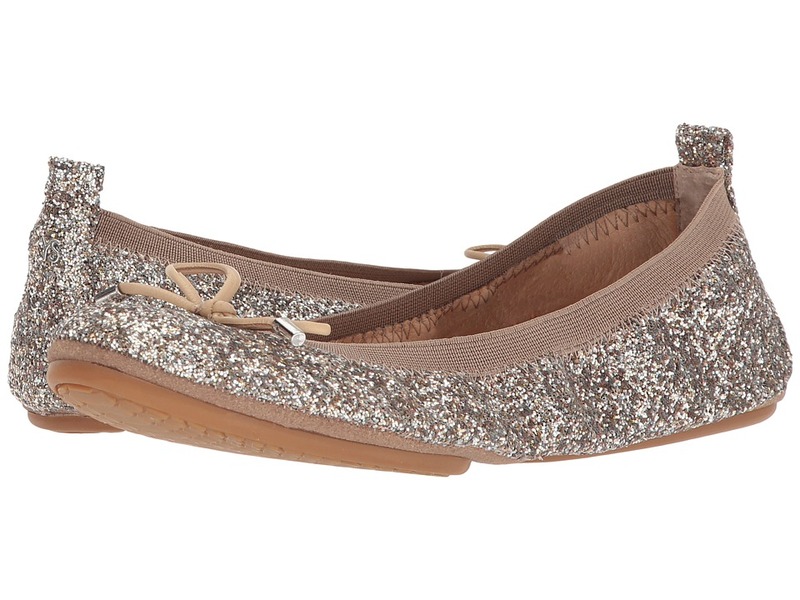 Complete her dazzling look with these gorgeous flats. Velvet upper with matching bow. Slip-on construction. Leather lining. Lightly padded leather insole. Embossed logo detailing on metal heel accent. Combination leather and rubber sole. Made in Italy. This item may ship with an attached security tag. Merchandise returned without the original security tag attached or a damaged tag may not qualify for a refund. Measurements: Heel Height: 1 2 in Weight: 4 oz Product measurements were taken using size 27 (US 9.5 Toddler), width M. Please note that measurements may vary by size. Weight of footwear is based on a single item, not a pair. 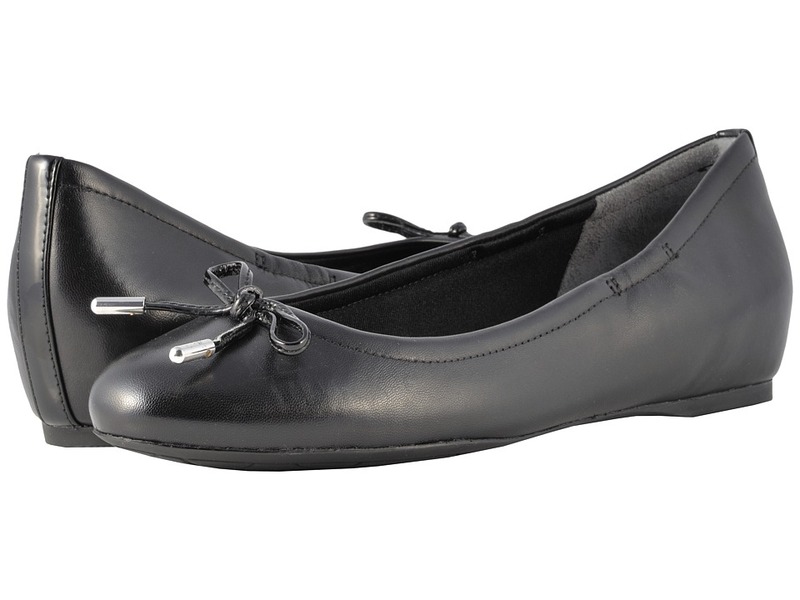 You~ll never have to sacrifice style for total comfort when you~ve got these chic Rockport&amp#174 flats. 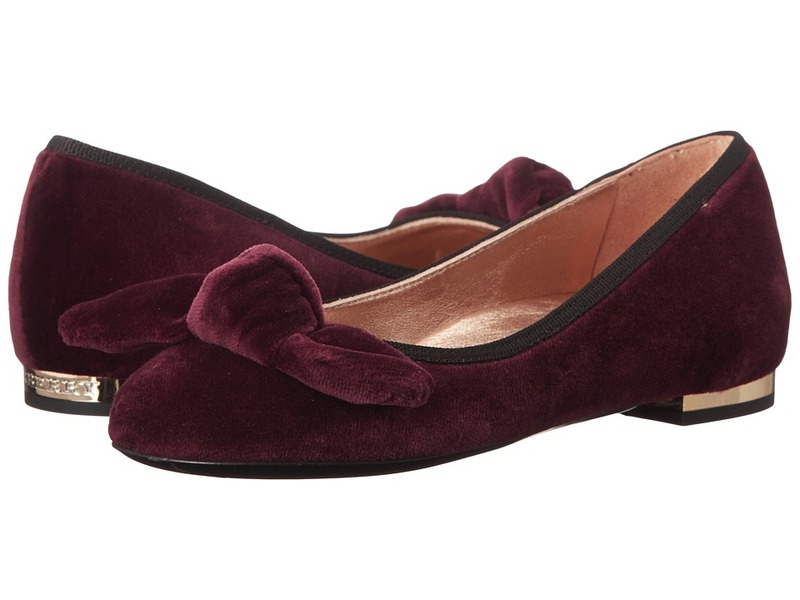 Rich suede uppers with a round toe and decorative bow at vamp. Slip-on design for quick and easy on-and-off. Soft and breathable textile linings. A cushioned, retention foam footbed provides maximum comfort and support. Lightweight comfort system designed to provide shock absorption in the heel and rebound at the forefoot. Durable rubber outsole with 20 mm hidden wedge heel height. Imported. Measurements: Heel Height: 1 2 in Weight: 7 oz Product measurements were taken using size 8, width M (B). Please note that measurements may vary by size. Weight of footwear is based on a single item, not a pair. Yosi Samra advises that their shoes typically run true to size. If you are a half size, they suggest going up to the next full size. For example, if you are a true size 6.5, they suggest ordering a size 7. All day and around the town! 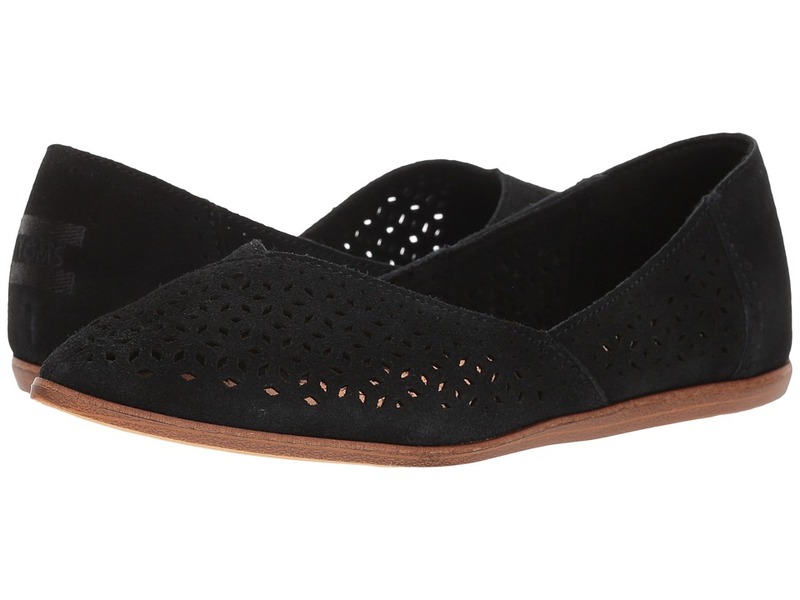 Press play on these adorable Yosi Samra Samantha Cap Toe flats, and never stop. Leather upper with contrasting cap toe and back quarter. Slip-on construction with elasticized collar and rear pull tab. Round-toe, ballet style silhouette. YS heel tab branding. Leather lining and insole. Fixed Ortholite memory foam footbed. Packable partitioned leather and synthetic sole. Imported. Measurements: Weight: 5 oz Product measurements were taken using size 8, width M. Please note that measurements may vary by size. Weight of footwear is based on a single item, not a pair.